Below is an article by Tina Arceo-Dumlao that appeared in the Philippine Daily Inquirer last 09/21/2008. The article discusses the current and future developments in Bonifacio Global City (BGC). This will be very helpful and useful to you readers who are contemplating on purchasing a condo unit here in the Philippines, specifically at BGC. THE former military base in Fort Bonifacio, Taguig City, is a picture of frenetic construction activity. Huge cranes operate day and night to pour concrete into new office buildings, residential condominiums, schools and hospitals that will change yet again the skyline of this new central business district. Orchestrating the development is the Bases Conversion and Development Authority, a government corporation formed in 1992 to convert the former US military bases and Metro Manila military camps into centers of economic growth. BCDA, under chair Aloysius R. Santos, is on its way to fulfilling its mission, not just in the former Fort Bonifacio, but in its other areas of responsibility, including the Clark and Subic military reservations and Camp John Hay in Baguio City. Santos recently sat with the Inquirer and discussed how far Fort Bonifacio has come in terms of development and where he wants to see it go under his watch. Q: What was the state of development of Fort Bonifacio when you came in? A: When I assumed the chairmanship of the BCDA in November 2006, the development of the Bonifacio Global City was already being undertaken both by Fort Bonifacio Development Corp., which is controlled and managed by the Ayala-Campos Group for a 150-hectare-area joint venture with BCDA, and by BCDA itself for the other BGC areas. Click "Read More" to continue reading this entry. From the prolonged real estate crisis that started in 1997, it was only in 2007 when land values and rental values in Bonifacio Global City recovered and returned to the pre-1997 levels. It was only in 2007 where land prices have again reached more than P135,000/sq.m., together with office rental values at P700-1,000/sq.m. and rental rates for high-end condominium units like Pacific Plaza Towers at more than P200,000 per month. Also in 2007, Pacific Plaza units have sold at the P28- to P32-million level, which were the prices at its onset. There were relatively few completed and startup projects in Bonifacio Global City when I first came on board. In 2003, there were only seven projects completed, bringing the total accumulated projects from the very beginning to only 28, with a developed gross floor area (GFA) of 718,000 sq.m. By 2006, there were nine projects completed for the year, bringing the total to 51 projects completed, covering 798,000 sq.m. of GFA. In 2007, there were 17 projects completed, the highest for one year in the history of Bonifacio Global City, bringing the accumulated total to 68 projects, covering 1,051,000 sq.m. GFA. This trend is clearly being sustained because there will be 14 projects completed by 2008, accumulating to 82 total projects of 1,359,000 sq.m. Not only were there more projects completed but the projects covered more gross floor area and would double the gross floor area in a span of only two years. Based on building applications so far received, and including the Expanded Big Delta lots, which were recently sold to the Net Group headed by Charlie Rufino and Jacques Dupasquier, there will be 128 total projects completed in 2012, covering 2.6 million sq.m. of GFA. In real terms in 2006, we only had the schools, very few office buildings like Net One and Net Square, and several residential condominiums like Pacific Plaza and Essensa. Market! Market! opened only in 2004. 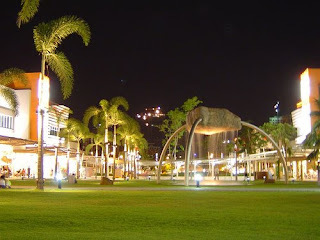 Bonifacio High Street and the Serendra retail strip only became fully operational in 2007. This year, the 66-story Shangri-La Hotel commenced construction and, by the end of 2008, we shall break ground both for the 50-plus-story Philippine Stock Exchange Building and the Science Museum. The development of the North Bonifacio (North Boni) area, bounded by Kalayaan Avenue and which comprises about 25.8 hectares, started in the first quarter of this year. The North Boni area includes the Metrobank/Federal Land [property] with 10.5 has., within which will rise a 66-story tower to house an international five-star hotel. Q: What do you think are the factors behind the frenetic pace of development today? A: Starting 2007, there were many factors which contributed to this fast-paced development of Bonifacio. We start with the takeover of Ayala Land Inc. and the Campos Group in FBDC, which brought a fresh wave of confidence and optimism in the development of Bonifacio Global City, coupled with the infusion of new capital and substantial resources. Secondly, the admirable growth of the Philippine economy brought new investments to Bonifacio. Thirdly, the remittances of the overseas Filipinos (workers, balikbayans and professionals) fueled the residential market. Fourthly, the growth of the call centers and BPOs spurred the office sector as well as the residential and retail/entertainment sectors. Fifth, the government and BCDA embarked on an honest-to-goodness privatization program which encouraged and set the environment for more investments and public-private sector partnership. As importantly, a major factor is the BCDA organization itself, which drives BCDA’s contribution to this frenetic pace of development not just in Bonifacio but also in other former military bases as well. Under its charter, BCDA’s main strategy for conversion, development and disposition is privatization. BCDA — from its board, to its management, and down to its staff members — believes and advocates close partnership with the private sector. The pivotal and crucial role of the private sector is recognized and highly regarded. The BCDA Board is a multidisciplinary and collegial decision-making body composed of representatives from the private sector, the labor sector, experts from the academe, practitioners in finance and business and socio-civic organizations. Q: What was the major turning point? A: The main turning point is the turnaround of the real estate sector in the latter part of 2006, hand-in-hand with the robust economic growth of the Philippines in 2007. Q: Do you see growth continuing? Why or why not? A: Growth will continue. Overseas Filipinos will continue to invest and the BPOs will continue to grow. In fact, the near-recession situation in the United States is spurring major US companies to outsource business processes because of lower costs. Many international investment funds and foreign investors, especially China, continue to be very bullish on Philippine real estate. With sustained growth of the Philippine economy, there still remain major opportunities, especially with the support of President Macapagal-Arroyo’s administration and her policy to attract and encourage foreign investment in this area of land development. Admittedly, there are present vulnerabilities that are apparent, like price increases in construction materials, rising world oil prices, weakening of the US economy and those of other western economies, the subprime crisis in the US, and the decline of several stock markets abroad, including that of the Philippines. Today, we have double-digit inflation, which is evident in increasing food prices and even a slight uptick in interest rates despite the liquidity of the banking system. For Fort Bonifacio, however, I can still see growth even in the face of these threats because, overall, the Philippine real estate industry has a life of its own, and the development here at the Fort has gained momentum due to its model-city quality-of-life development. Q:. What is driving the growth of the real estate industry in general? A: First, continuing growth of Philippine economy. Second, growing overseas Filipino workers remittances, projected to be at $16 billion (as per data from the Bangko Sentral ng Pilipinas) this year. Third, continuous growth of the BPO sector. As per Megaworld, which is developing four major BPO hubs, two of which are in Global City, BPO demand here in RP will not only increase but will be accelerated. Q:. What do you think makes Fort Bonifacio unique and in a position to attract a lot of investments? • The support provided by the city government of Taguig. Q: Does BCDA just accept any investment or does it screen buyers? If you do weigh investments, what do you look at when evaluating project proposals? A: In Fort Bonifacio, as well as for the other former military camps in Metro Manila, BCDA always uses a competitive selection process, e.g., bidding, for the developers/buyers/joint venture partners. BCDA, but more importantly, the reputation of the JV partner or of the property buyer. Thus, BCDA seriously considers the financial and technical capability, commitment, credibility and track record/reputation of its developers. A developer should be able to bring great value to the development. As a result, BCDA selects only the best developers as partners or as property buyers. Q:. How do you see Fort Bonifacio five years from now? What is your vision for the Fort? A: In five years, Fort Bonifacio will continue to be a rapidly developing global city, involving major foreign investor/developers. As mentioned earlier, the development has already shifted from the Expanded Big Delta Lots, which is in its eastern portion, adjacent to Manila Golf, to the North Bonifacio area. Presently, BCDA is jointly developing roads and utilities in North Bonifacio with Metrobank/Federal Land as well as with FBDC. So, from the residential-dominated development at the onset, development will be more oriented to that of offices, commercial, entertainment and even institutional. Bonifacio shall be a primary business district with a strong mix-use component. BCDA intends to push the frontiers of Bonifacio towards the south to link with the Villamor and Nichols Base areas. Already, BCDA is preparing the development and disposition plans for its remaining properties, south of Bonifacio Global City, to be called Bonifacio South, covering 93 hectares. This will be another major-scale development which should attract more investors, both foreign and local. Aside from being the home of passionate minds, Bonifacio Global City will be a city with a vibrant soul. The amenities that are sometimes forgotten in the single-minded pursuit of real estate profits shall be established. Examples are cultural centers, convention centers, concert halls, art centers, sports stadium, science museum, parks and plazas, and even a civic center. Bonifacio will be the showcase of successful public-private sector partnership.